I have always enjoyed the older simpler wooden furniture of the late 1800s and early 1900s, so this Shaker Style 7-Drawer Lingerie Chest caught my eye quickly as I scanned through my 25yr collection of Wood Magazine. Plans can be found here, if you don’t have a copy of the March 2009 Issue. This DIY Dado Jig helped me cut/route straight, perpendicular, and EXACT width dados in my 3/4in (AKA 23/32in) Maple veneer plywood. 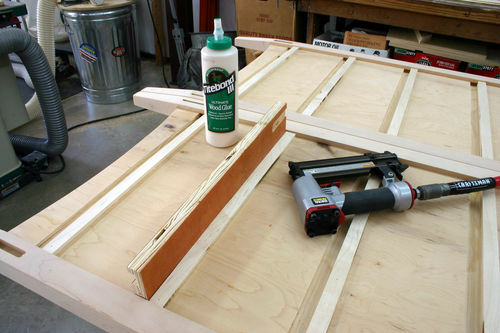 You just place a piece of the board or plywood that you are using, snug it up and tighten the knobs—done. I sized all of my dust panels to match the 23/32in ply for consistency, then used them to ‘set’ the jig to the width of the dado I needed. 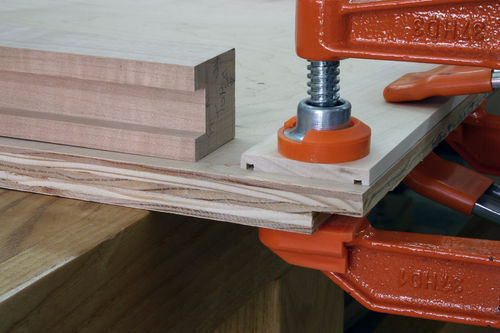 In previous projects I had used the TS to cut dados using just the .125in kerf blade to varying degrees of success. At least one dado on each previous project would end up too loose, hence the Dado Jig was needed to standardize my dado cuts. It works great. The instructions in the plans are pretty straight forward, though not owning a biscuit cutter forced me to consider other options for joining the case. 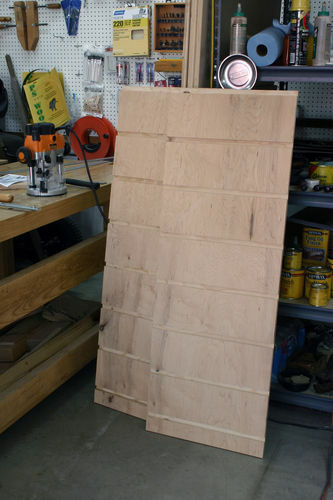 I chose to cut full length dados in the legs for the 3/4in plywood sides. Had to remember to cut the sides 1/2in wider to accommodate this change, but no big thing. What I liked about using a dado here is that it ‘hides’ the edges of the veneered ply so that helps prevent any separation/peeling as this thing ages. Plans also called for cutting ‘glue control’ grooves in a couple of the laminate pieces that are glued to the ply as well. I thought that was a nifty idea and it worked out well. I had always wanted to try out Shellac on a project, and this happened to be THE project that I thought best suited Shellac. To me Shellac and Shaker just seem to be the natural match for each other. Maybe it is just me… Anyway, not knowing anything about Shellac application, I think I set myself up for quite a challenge. I chose an ‘amber’ Shellac (Zinnser Bulls Eye - Amber) . FWIW, the amber Shellac, being darker, seems to act as a surface stain or coloring agent, and that means that it will show, blotch/streak, if you do not get an even coating applied. I also chose to brush apply the Shellac, and wow is THAT a challenge in and of itself! Below, you can see just how much I was ‘streaking’ in my early attempts with the brush. 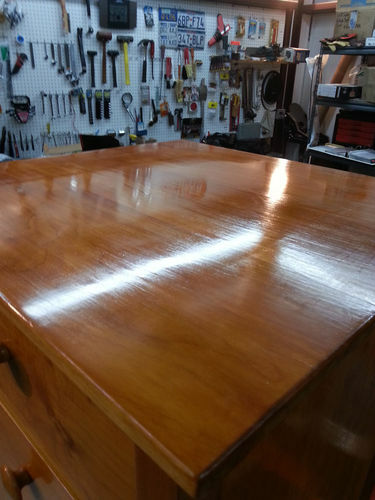 Boy was I happy to see @ScottinTexas start a forum topic on Shellac as Final Finish? . I have to apologize to Scott because I think I ended up hijacking his thread with all of my questions. I also want to thank all those who contributed their expertise with their suggestions. Other than not spraying, I think I tried them all. After, tiring of my brushing results, I tried applying with a pad. First by folding up a Scott paper towel, that worked much better than the brush had,... And then I ended up cutting up an old T-shirt to make a pad. The T-shirt worked the best of all. 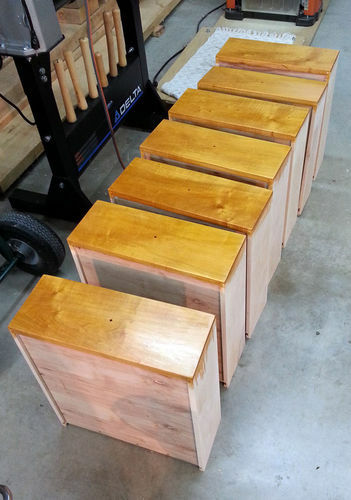 At this point I also learned/experienced that I was NOT applying enough Shellac fast enough. 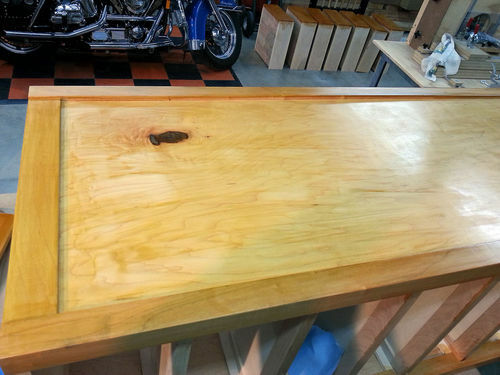 The cotton pad allowed me to lay down much more Shellac at a faster rate, and it showed by eliminating much of the streaking that I had been experiencing. Don’t get me wrong, I still had some streaking, but at a much reduced rate. Next came all of the sanding and buffing. 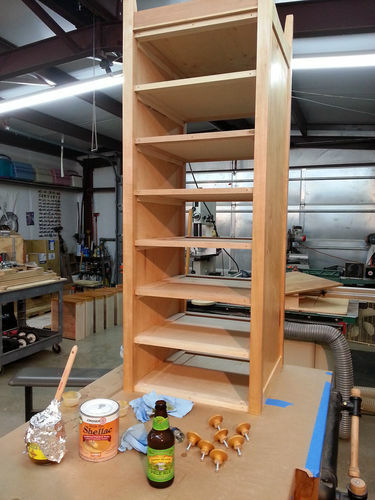 After several back and forth PMs with @A1Jim and some great advice, I managed to #1—NOT sand through any of the Shellac, and #2—use a power buffer on all the larger flat areas, that saved my arms quite a bit of work! You can see that even with all of my buffing with Johnson’s Paste Wax (JPW), both with my 9in power buffer and with brown grocery sack paper (used as an ultra high grit = +3000), I managed to get a pleasing gloss to come out. 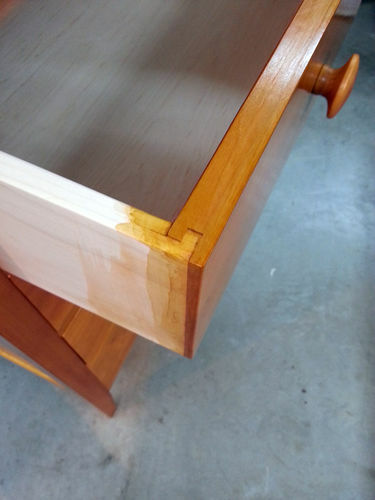 I probably could have spent even more time buffing and buffing, but the biggest thing I did NOT want was to buff ‘through’ the entire Shellac finish and be forced to start over. Thanks guys! I would not have had such a good result without all of the LumberJocks whose advice was so timely. Beautiful! I should make my daughter one, being a teenager she has more clothes than some small countries but always seems to need more. One more comment, did you try cutting the shellac with alcohol? Right out of the can it is pretty thick. Yes indeed. I used 1 Shellac to 1 1/2 DA. It’s awesome, Mike! Thanks for the descriptive write-up! I love this design and this will go to favorites. Very nice mike. I am now trying the shellac. Elegant piece! And the knots you left in the sides add to its character. Very well done! Great chest, that is quite a project. 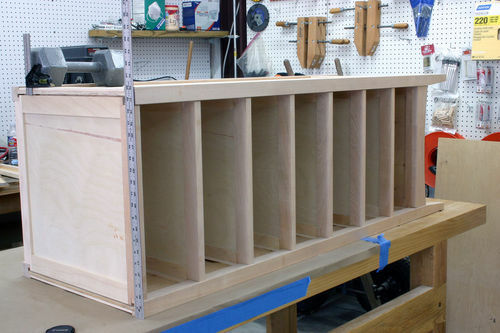 I am just finishing a pair of dressers, and am always amazed how much work case goods are. There’s just no way around it, a good project takes time. 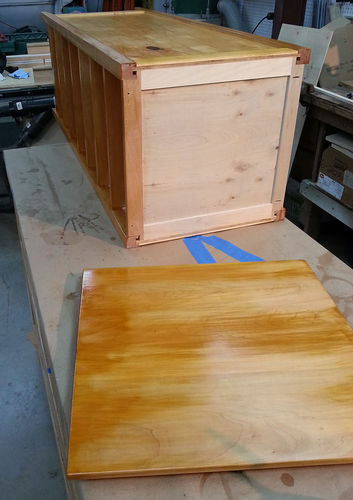 I used shellac for my drawers, but sprayed clear shellac, so I didn’t encounter any streaking. Thanks for sharing your nice project, especially the extra pictures. Beautiful this chest turned out great Mike, super job. Nice photo work up too. ... next up French polish….??? 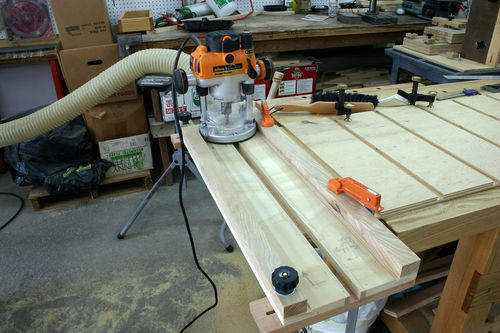 Mike, you are the master with a router. 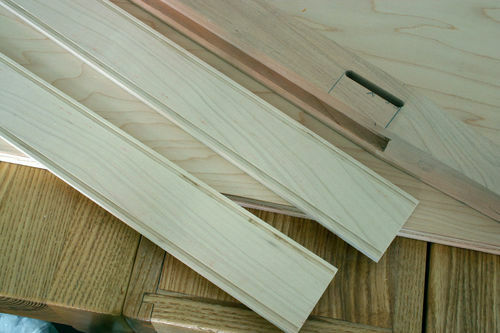 Those drawer lock joints are more complicated than you give yourself credit for. I really like the chest and the write up. Where did you get the drawer pulls? they match perfectly. You keep Wood Magazine copies in your lingerie chest too?! Huh, small world or what? In all honesty you did a great job with it. Should serve you well storing whatever for years to come. Great job Mike. Congratulations on a fine build. Nicely done Mike. Hope she likes it for many years to come.